Santa Maria Novella, also known as the Officina Profumo-Farmaceutica di Santa Maria, was established by Dominican friars not long after their arrival to Florence around 1221. The pharmacy, now a gorgeously decorated and sweetly aromatic little shop settled in the same location as the original pharmacy was over 600 years ago, was originally established by these Dominican monks as a place for which they could create and distribute their medicines, balms, and pomades to the monks’ infirmary. The friars extracted their natural medicinal herbs for these remedies from the lush gardens located on the monastery’s grounds. Word of the pharmacy’s remedies spread fast and by the 16th century, their products had become so popular and widely recognized for their quality that the little apothecary began distributing their products to the public, which eventually led to Santa Maria Novella’s transformation from a humble pharmacy, to an internationally-renowned beauty supply shop with multiple branches around the world distributing a vast assortment of hand-crafted fragrances, home products, soaps, and much more. 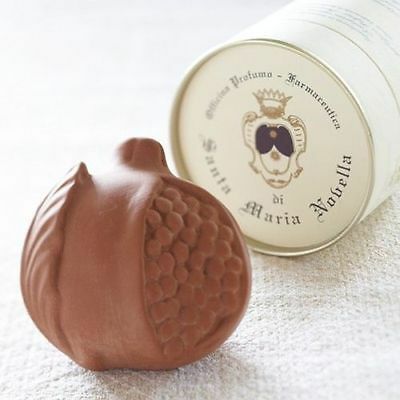 Santa Maria Novella perfumes are created using raw, all-natural ingredients. In fact, the majority of herbs and flowers used to craft their decadent trademark fragrances are still extracted from the pharmacy’s garden, much like they were 600 years ago. The first truly noteworthy Fragrance created by the pharmacy dates back hundreds of years ago, during the time when a young Catherine de Medici, the daughter of a highly respected family in the Renaissance age, was about to give her hand in marriage to the future king of France, Henry II. As a commemoration of this joyous occasion, the monks who operated the pharmacy created a gorgeous fragrance, especially for the bride-to-be. This fragrance was called “Acqua Della Regina” also known as “Water of the Queen”. Rather than using a vinegar or olive oil base for the fragrance, a common ingredient in fragrances of those times, the monks used alcohol, which prevented the scent from turning sour as was usually the case with other perfumes of past. The perfume was a success, and the scent is still available to this day at the pharmacy, though it now goes by the name of “Acqua di Santa Maria Novella”. The fragrances designed by Santa Maria Novella stand apart from the rest not only because of the company’s use of all-natural ingredients and their luxurious blends of floral, fruity, and spicy notes – but also because of their respect for the history of the pharmacy as well as the history of Florence itself. Essentially, they’ve managed to capture the true essence of Florence in a bottle and share it with millions around the globe. The modern Profumo Farmaceutica di Santa Maria carries a vast assortment of perfumes and colognes for both men and women alike. The majority of scents distributed by Santa Maria Novella are unisex in nature, containing a unique combination of notes that seem to tell a story with each bottle. For those seeking a more masculine scent, there are products such as Acqua di Colonia Tobacco Toscano, or Acqua di Colonia Peau d’Espagne, which combine spicy notes with fragrances like Spanish leather or Tuscan cigars to create the ultimate manly scents. For those who prefer a more feminine fragrance, the line also offers products such as Acqua di Colonia Fresia, or Acqua di Colonia Angeli di Firenze – which possess sweet fruity and floral notes reminiscent of fresh flowers and citrus. Whatever scent you’re looking for, Santa Maria Novella has a little something for everyone. “I’m a HUGE fan of Pot Pourri…it’s the absolute finest bay rum-type fragrance I’ve yet encountered. Very herbal-spicy, extremely complex and long-lasting. The reviews speak for themselves, Santa Maria Novella is the perfect choice for perfume lovers and fragrance connoisseurs alike. Whether you’re looking for a scent reminiscent of flowers or fruit, or seeking a richer, luxurious scent that embodies the history of Florence, explore the wonders that await you at Santa Maria Novella. Finding carriers of Santa Maria Novella can be tricky due to how exclusive the brand is. Obviously, the SMN shop in Florence carries all these rare essentials, but if you’re not planning a trip to Italy any time soon, getting your hands on their fantastic fragrances could prove to be a bit of a challenge…unless you visit your friends at Sepi Spa. Sepi Spa, located in Santa Monica, California, carries some of the rarest and most exclusive brands in cosmetics. Lucky for you, this cutting-edge spa facility also offers goodies from the Santa Maria Novella product line. During your visit, why not also pamper yourself and enjoy one of the many spa services our facility has to offer. From facials to infrared saunas, we have everything a spa-goer could need to relax and enjoy a much-deserved break from the stresses of everyday life.